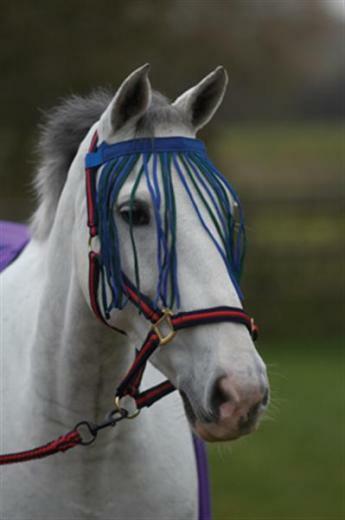 A fly fringe with hook and loop fastening to attach to the head collar or bridle. Fully adjustable which overcomes the need for different sizes. Please see below for a photo of some of the available colours. There are currently no questions for Hy Fly Fringe - be the first to ask one!